The classic and original Monopoly Board Game! Buy some property and charge exorbitant amounts for rent! 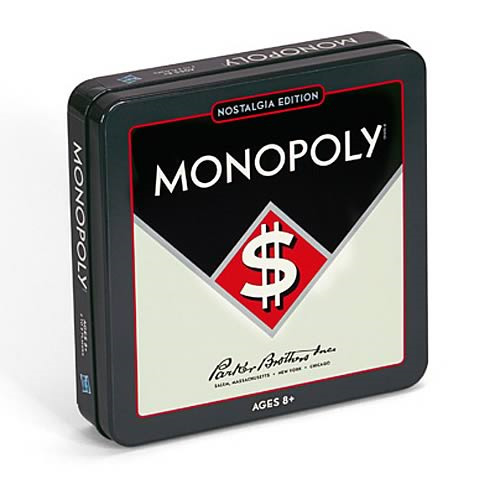 It's the classic Monopoly Board Game with vintage design and look, and it even comes in an awesome decorative Nostalgia tin box! It's just like the Monopoly Board Game that you remember as a kid and even has graphics inspired by the original 1936 edition game! Have yourself some fun buying up all of the Atlantic City property and booting your competition out of town with the Monopoly Nostalgia Tin Board Game!